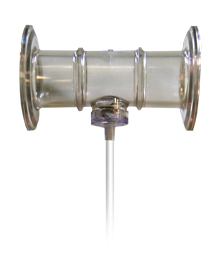 PendoTECH’s Single Use Pressure Sensors™ measure static and dynamic pressure of gases and liquids in your biopharmaceutical processes – accurately and cost effectively. Robust enough to be repeatedly cleaned and inexpensive enough to be utilized in disposable applications, our Single Use Pressure Sensors deliver a dependable alternative to stainless steel pressure transducers. The sensors feature PendoTECH High Accuracy Pressure (MEMS-HAP™) Chips and are perfect for filtration and chromatography processes, monitoring of glass and disposable bioreactors, filling operations and more. They are available in caustic-resistant polysulfone to withstand sanitization processes. PendoTECH’s pressure sensors, which are qualified for use up to 75 psi, are compatible with PendoTECH’s PressureMAT™ monitor/transmitter, PendoTECH’s Process Control Systems or other pre-qualified third-party monitors. The pressure sensors can be integrated for pressure measurement and control with either a PressureMAT™ System (monitor/transmitter) or a PendoTECH Process Control System, depending on the number of sensors and process requirements. The data collected by these systems can be output to a PC or another data monitoring device. They also can be integrated into other pre-qualified 3rd party pumps & monitors. The pressure sensors are very accurate in the pressure ranges typically used with flexible tubing and are qualified for use to 75 psi. The design features no mold parting-line where the tubing is secured, which can be a source of leaks. The single barb shaft provides space for the hose to relax behind the barb, causing the tie-wrap to work like a drawstring. A tie-wrap placed over the antirotation device (designed by Eldon James Corp.) will lock the tubing, preventing it from becoming loose by a twisting motion. If a more secure fitting than a tie-wrap is required for higher pressure, either a BarbLock® or Oetiker Clamp can be used, and they both give a very secure 360° radial compression seal. 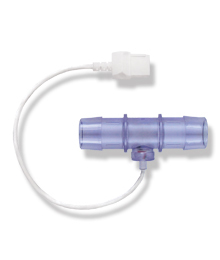 The luer sensors are offered in polycarbonate and polysulfone and have male/female luer lock inlet/outlet ports and come with a cap on the female luer port for dead-end applications. With the universal luer fitting, they can be adapted to processes in different manners. A couple of examples are they can be used in-line at low flow rates (1/16 or 1/8 inch tubing) or on a 1/4 or 3/8 inch barb fitting with luer port. 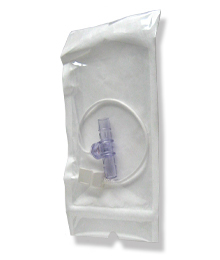 The polycarbonate version is sterile for aseptic connection. * Data from 100 random sensors manufactured with the PendoTECH High Accuracy Pressure chips (MEMS-HAP chips) and measured with the PendoTECH Process Control System. BarbLock® is a registered trademark of Saint-Gobain Performance Plastics Corporation all rights reserved.